Rotarian Hugo Pike from the Rotary Club of Chelwood Bridge, and Director of World Water Works Ltd spoke to us today about Water Survival Box. 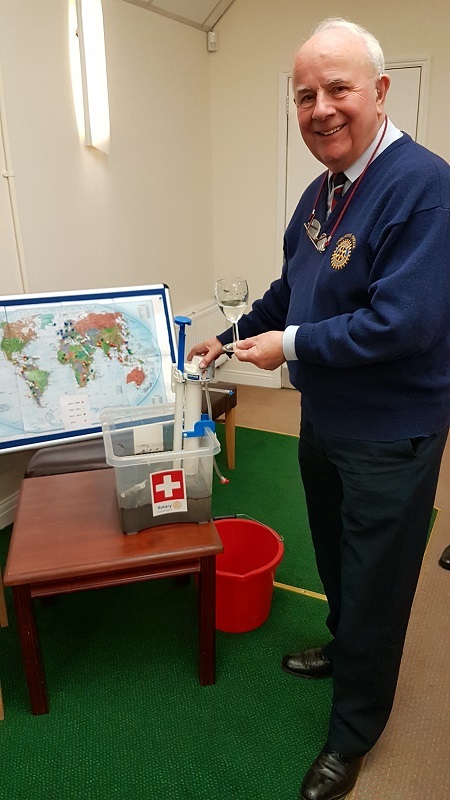 We learned about the association of these two organisations which provide rapid rapid response to natural disasters for families who have no access to safe drinking water and have also lost their homes and possessions. 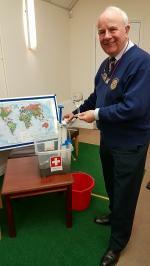 We watched a video of flood devastation from Typhoon Sendong in late 2011. 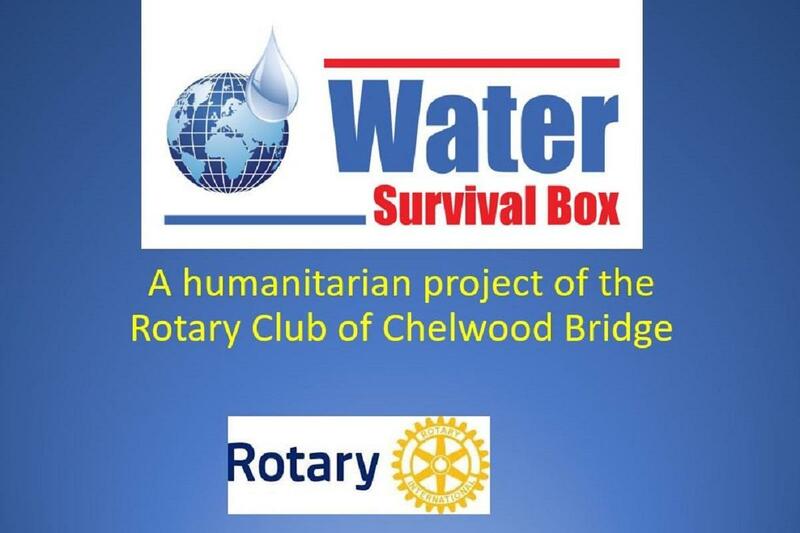 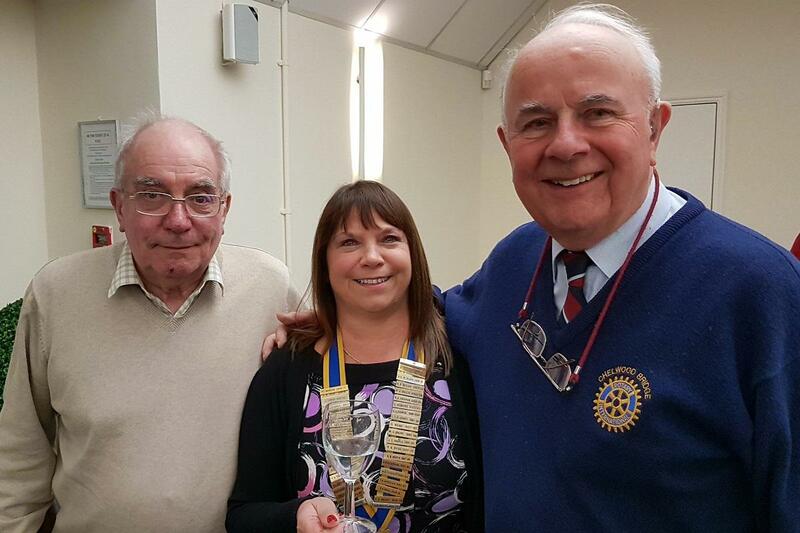 In response to the 2010 Chile earthquake killing 500 we heard about how the Rotary clubs of Chelwood Bridge in Somerset and Valparaiso in Chile worked together, delivering 400 survival boxes. 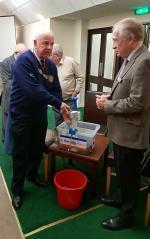 The Survival Boxes are continually developed and improved and cost £150 including freight. 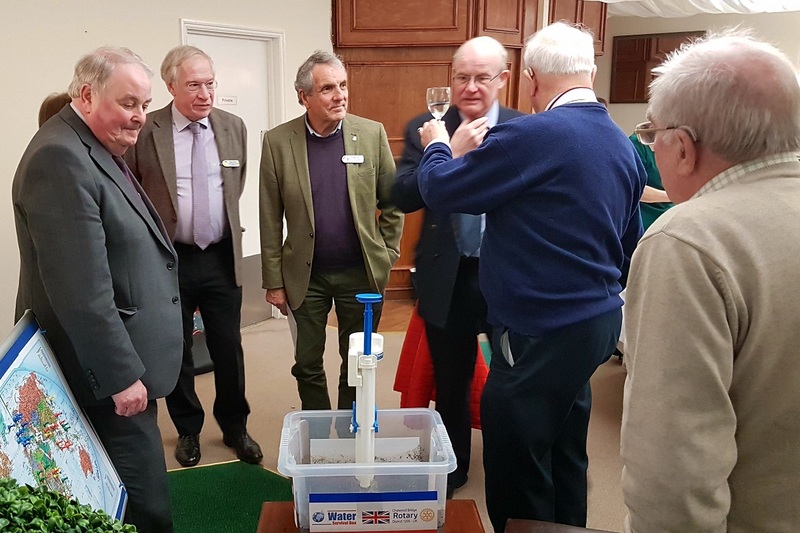 The current kit can purify 100,000 litres of water and we were shown a demonstration of its purification capabilities from some dirty water after which a few members were pleased to taste!